No doubt about it, CBD Oil is everywhere. Did you know CBD is great for pets too? It has been shown to reduce separation anxiety, relieve pain, ease chronic inflammation, increase appetite, and in some cases, treat seizures, epilepsy, neurodegenerative diseases and IBD. 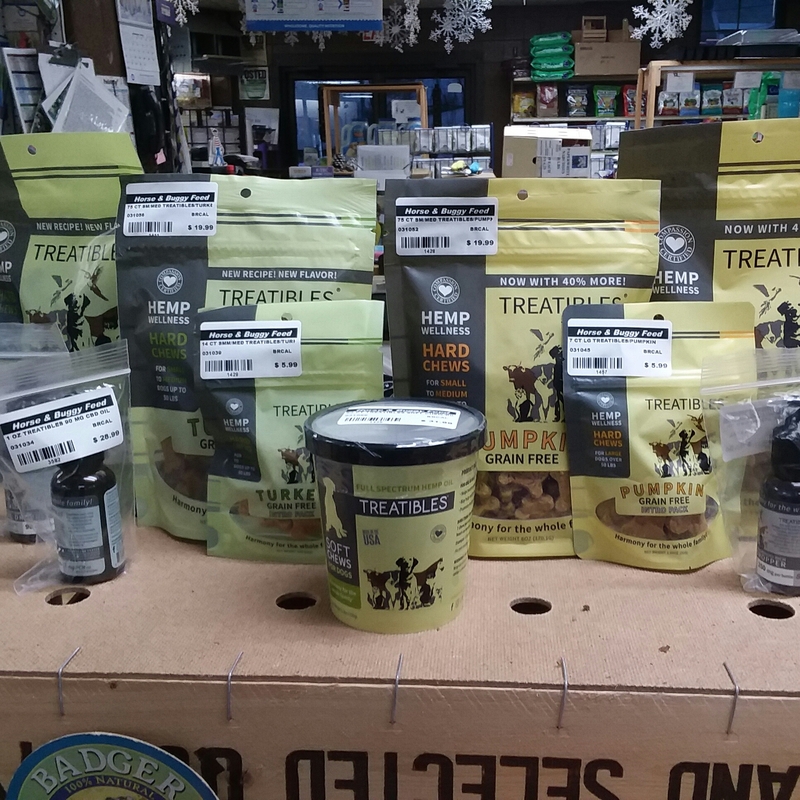 It is important to get CBD specifically for your pet, and as well as with food or treats, it is best to watch the dosage carefully and start off with small doses, and increase gradually. Don’t cheap out. Just as in the case of essential oils versus fragrance oils, if the cost is cheap, the results can be non-existent, even deadly. Check to see there is a Certificate of analysis for CBD content. Usually if it’s not available, the actual CBD content is very low. With all of the promising results, we’re proud to carry the Treatibles brand. Be sure to ask for it at the counter. Ask for it! Lab results are available upon request. Contact us at info@treatibles.com.